Recently I mentioned that it looked strongly that the Panera Bread restaurant chain would also be opening a location in North Spokane. This, after the news broke in February that they would enter the Spokane market with a new location in Spokane Valley. Today, that Spokane Valley Panera Bread is already rising from the ground fast and promises to open in August ( more on that here- http://www.inlandnwbusiness.com/2015/02/panera-bread-is-coming-to-spokane-valley.html ) . And, now thanks to helpful corporate rep with Panera we can confirm that their plans to build a second local location, in North Spokane, is true! The company is still early in the process of creating this new location so no building permits have been issued as of yet. But they will be issued in the coming months for a site on N. Division nearby the new Lowe's store, just north of Francis. The new Panera's address would be 6500 N. Division. The chain is hoping to open the new location in North Spokane right around early Summer of next year. The North Spokane location will be basically identical to the new location that's being built at 15716 E. Indiana in Spokane Valley now. Both will have about 5,100 square feet of space and create in the 65-75 range for new jobs. 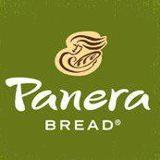 Panera Bread is a rapidly growing chain of fast service café / bakery style restaurants. They already operate 2000+ locations, all ran for their headquarters in Kirkwood,MO.